That's the <s>Last</s> First Straw! 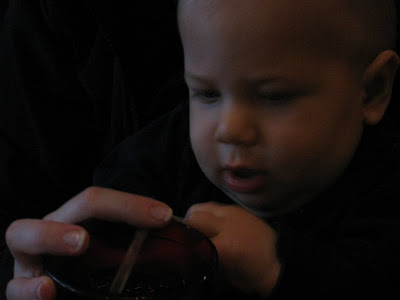 A few weeks before Christmas Harrison learned a kid favorite! 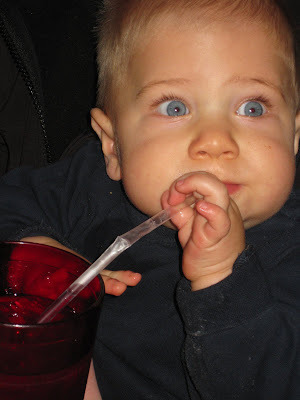 Drinking with a straw! At first he was just quite proficient with bubble blowing. 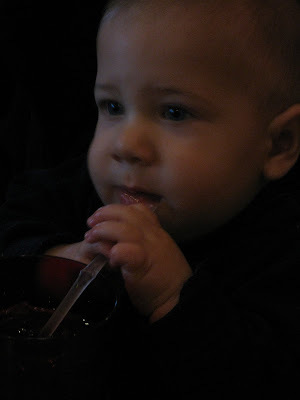 But with some help from a few of the aunts he mastered the technique and now thinks every drink with a straw in it is his!